Obituary for George W. Belew | Crouch Funeral Home, P.A. 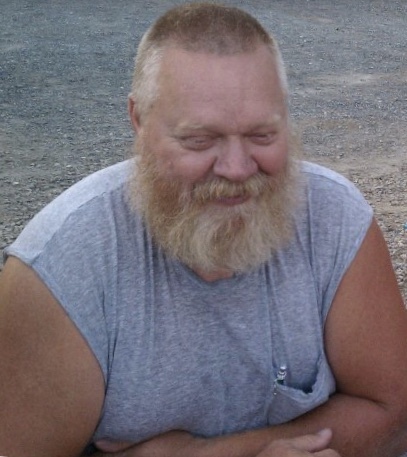 George W. Belew, 64 of Rising Sun, MD, passed away Friday, September 14, 2018 at home surrounded by his loving family. Born in Wilmington, DE, on October 11, 1953, he was the son of the late Gordon L. and Kay F. (Haney) Belew. For many years he was a self-employed truck driver. George was a member of Charlestown Missionary Baptist Church, Charlestown, Maryland. Survivors include his loving wife: Mary H. (Appenzeller) Belew; 3 daughters: Lisa Ford (John) of Elkton, MD, Dawn Hamilton (Curtis) of Rising Sun, MD and Marcy Miller (John) of Elkton, MD, and his son: John Seltzer (Natalie) of Gloucester, VA; 2 brothers: John (Liz) of MD and Junior of DE; 4 sisters: Frances of FL, Ann of GA, Donna of MD and Carolyn (Bob) of DE. He was also survived by 8 grandchildren: Joseph, Cody (Jewelia), Courtney, Allison, Leah, Cordie, Anna and Hunter; and 2 great grandchildren: Dixie and Cody Jr. In addition to his parents he was predeceased by his sister: Mary Jean. Visitation for family and friends will be held Sunday, September 16, 2018 from 6:00 pm until 8:00 pm at Crouch Funeral Home, P.A., 127 South Main Street, North East, MD. Those bestowed with the honor of pallbearer are Curtis Hamilton, John Ford, John Seltzer, John Miller, Cody Hamilton and Joseph Ford.